Being born with a facial difference, I find myself in more interesting situations than normal - or at least, that's what I've been told by several family members and friends each time I share a new story. About two or three years ago I found myself in one of my usual situation. There were the typical rounds of staring, followed by the typical, awkward dialogue. My mother, sister, and I were on one of our mother-daughter trips in Los Angles. Since no mother-daughter trip is fully complete without some shopping, we decided to head to a mall near our hotel. Before we fully stepped into one of the jewelry stores, the staring had already begun...This time by the store clerk. As something shiny caught the eyes of both my sister and I, we found ourselves standing in front of one of the jewelry cases. It only took seconds before the lady walked out from behind the counter and stood right next to me, briefly glancing at my sister to ask her if she could pull anything out for her to look at, quickly glancing back at me as she continued her staring. Store Clerk: "What happened to your face??!?" Store Clerk (still with her face just inches away from mine): "Ohhhhhhh...That must be an interesting story to tell!" Me (while walking out the door): "Uh-huh...I guess so...Have a great night..."
Depending on the story and how the curious person treats me, combined with my internal dialogue's witty sarcasm, I often walk away from situations telling my friends, "This is how I responded to the person...but this is how I wanted to respond!" To replay my last response, this is how I responded: "Uh-huh...I guess so...Have a great night." Yet, in that moment, when she told me, "...that must be an interesting story to tell", this is how I wanted to respond, "Yeah, sure. It is super interesting. I was born...the end." Just to re-emphasis - my internal, sarcastic responses aren't usually a 2 for 1 type of deal: "Share a comment or question about my birthmark, get sarcasm free!" My sarcastic, internal dialogue is only reserved for very special experiences, such as ones like the one I've mentioned in this entry...ones that uncomfortably make me feel like a zoo animal on display. As odd as it may sound to some, sarcasm and humor have been one of my many coping mechanisms when I find myself in hurtful situations in regards to my facial difference - and I keep my internal response (at least, until I'm away from a situation) to myself as I process the experience. 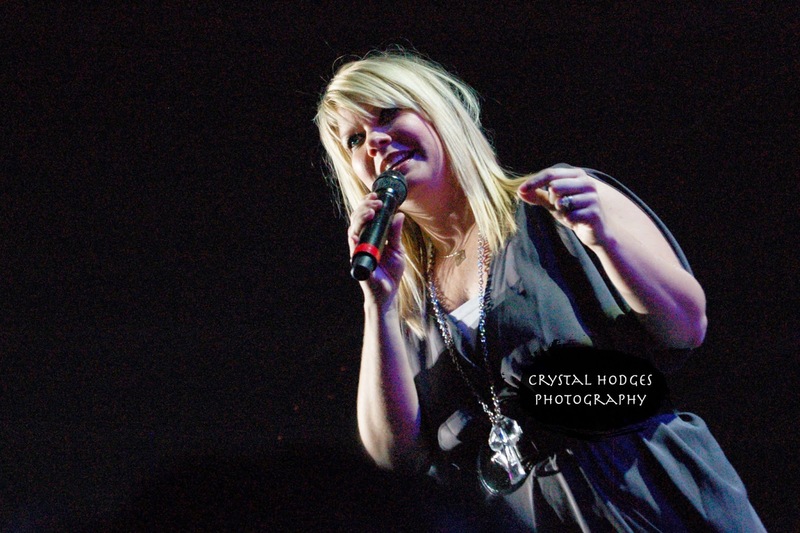 Natalie Grant has always been a favorite music artist of mine and going to an event where she was singing and speaking was such a highlight of my high school years - and I got to do it TWICE. While I had always known about her amazing musical talents, it wasn't until these events that I had the chance to hear her incredibly testimony...A testimony where she struggled to fulfill her desire to feel beautiful (starting after her boyfriend at the time made a comment about a woman pictured on a magazine), finding bulimia as her companion during her search of self-acceptance. Finally, she found herself in a moment of realization that she shared with The 700 Club, "...I’ve never heard God speak audibly but the Holy Spirit speaks to us on the inside, and it’s like I felt him saying ‘My grace is enough. My grace is enough.’ And that Scripture began to transfer from my head to my heart. I remember looking at that toilet and going, 'I am kneeling to the wrong God. I’m kneeling to this god of myself because this is what I do to make myself feel better and to feel accepted, and to look a certain way'..."
After my second time attending this event, I left feeling inspired in more ways then one. The variety of music was amazing and each testimony gave me goosebumps. Yet in the midst of all this, after attending this event twice and hearing Natalie Grant's story, around the age of 16 I found myself thinking, "This is what I want to do. 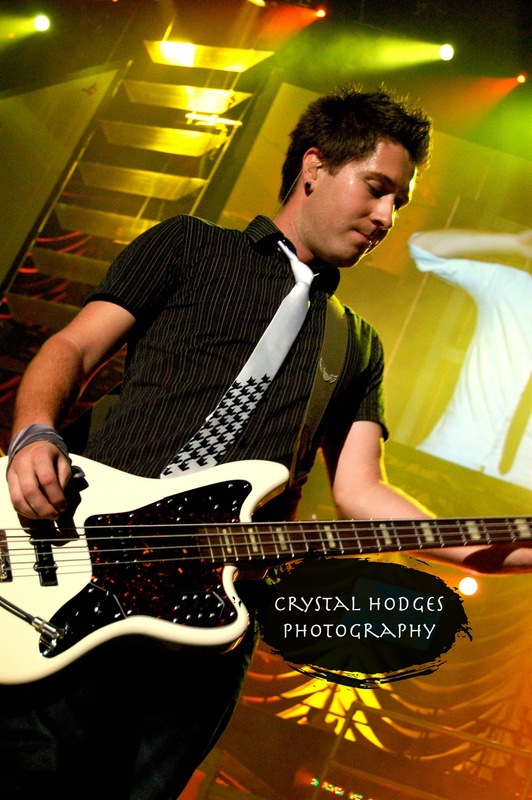 I want to be a speaker, just like Tammy Trent and Natalie Grant." Then, my thoughts continued, "...But I don't have a story to tell." Before I realized it, my new-found dream was forgotten and buried with self doubt. Although I do still keep my internal dialogue's sarcastic responses system on-call for special situations, I've come a long way since this interaction with this store clerk. When the situation in that Los Angle store occurred, I was open about my birthmark and happy to answer any questions that came my way - but I wasn't nearly as excited about those opportunities as I am now. At the time, I didn't see the beauty in the opportunities that I had when people verbally expressed their confusion or discomfort with me unique feature. Throughout the last couple of years a lot has happened in my life and God has been doing a lot of work in both my life and heart. He's helped me realize that although the way the lady treated me and her tone of voice were not okay, in the end, the lady's words were right. I do have an interesting story to tell...It's probably just not one that she would expect in response to her question, "What happened to your face??!?" Maybe, in a sense, my birthmark is like a marker...Like a highlighter to a page, my birthmark is permanently drawing attention to my face. Like many eyes that are drawn to read a highlighted line in a book, many people stop and ask me about my permanently, purple tone, highlighting the left side of my face. I'm asked many question, often being asked my story in a roundabout way. I guess I'm the equivalent to being a highlighted, living audiobook - but the main story goes so much deeper than the walking, audiobook cover that the world sees. The main story within my chapters is not nearly as much about me as it is about Christ and the unconditional love that He holds for me - and anyone who is willing to accept the gift He has to offer the world. As I continue to grow in Christ every day, I continue to dream new dreams - literally and figuratively. Last night, for example, I had a dream where I was in some kind of meeting with a bunch of people, including Toby Mac​. After telling him something along the lines of, "I enjoy the status updates you post on Facebook", he and I somehow ended up in an in-depth conversation talking about our dreams and stories. In addition, in the last two months I've had at least 7 dreams (no, I'm not kidding) where, each time, I have the honor of somehow bumping into Natalie Grant​. 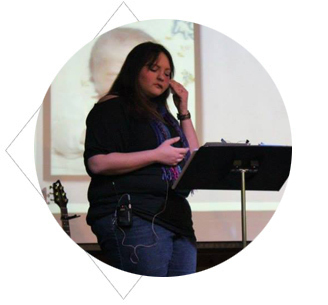 Each meeting resulting with me asking her, "Can I share my story - my testimony - with you?" Each time she joyfully tells me that she'd love to chat as we go and sit down at a local Jamba Juice (or something) to talk. I really have no idea where this Toby Mac dream came from (maybe because his song, "Beyond Me" has become one of my life theme-songs lately?). However, now that I'm chasing after my temporarily forgotten dream of being a speaker, new God-sized dreams have been forming in my heart during the last year or so. 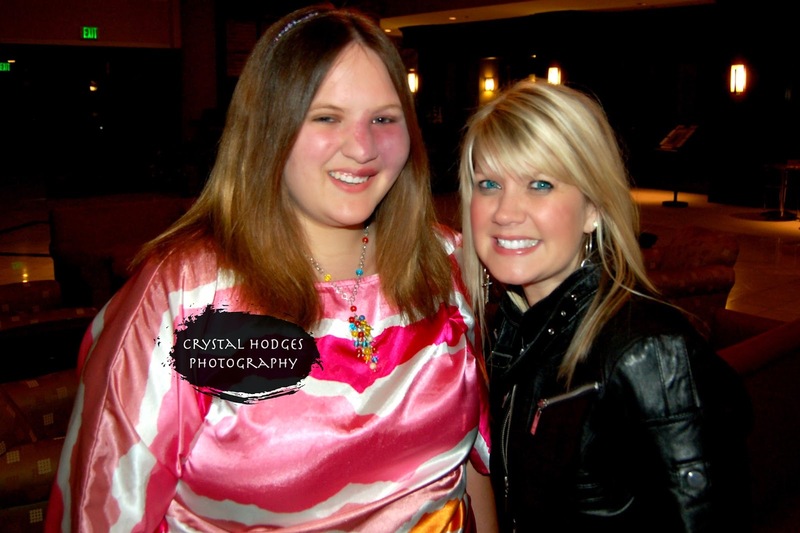 where I had the opportunity to meet Natalie Grant. Although she doesn't know it (yet), by following God's guidance and by sharing her story with a stadium filled with thousands of teen girls, God was able to use Natalie's words to inspire me to dream a dream that is becoming a part of my reality several years later. Just the thought of being able to share the stage and work along side someone who helped inspire me in such a powerful way just brings me such joy - especially since both of us have chapter in our stories with the common theme of true beauty. One day I hope to have the chance to inspire someone else to dream, just like she inspired me. I have a lengthy list of God-sized dreams and I'm going to keep praying and dreaming new dreams...Because with God, they have an endless potential of becoming a reality. And whether they stay a God-sized dream or if they become a God-sized reality, I will never let self doubt bury my dream, or more importantly, my story, ever again. Not only did God give me a story to tell just by being born with my purple, highlighted, left cheek, He gave me an even greater story to tell just by loving me. He made me an a living audiobook. We're all walking audiobooks. Whether it be through your words or actions, what story do you tell others?....What story do you want to tell? What dreams do you want to become a reality?